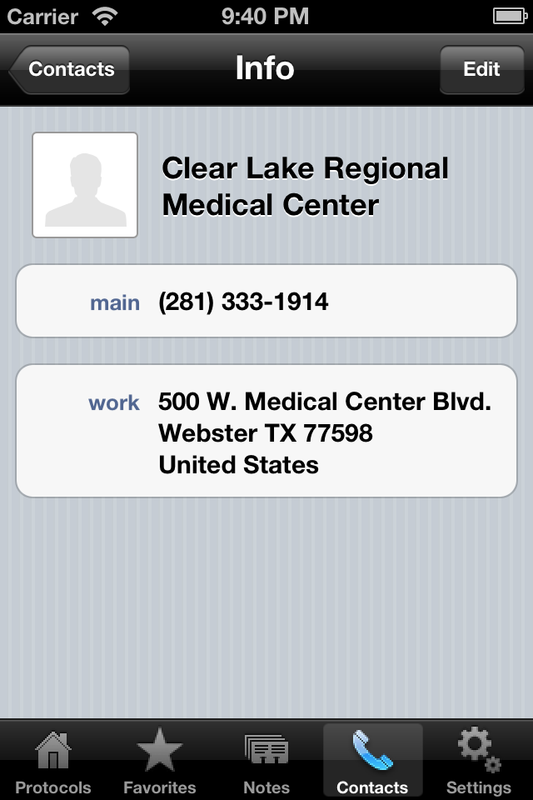 Paramedic Protocol Provider is an application for Android, iPhone, iPad and iPod Touch that provides quick offline lookup of field treatment protocols. ... all for less than the cost of most printed field manuals! 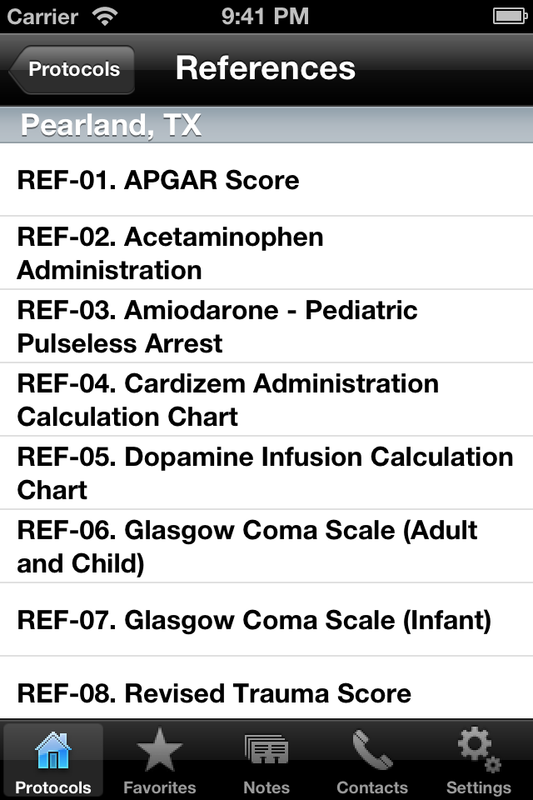 "As a practicing paramedic I personally find Paramedic Protocol Provider to be one of the most useful applications in my iPhone. 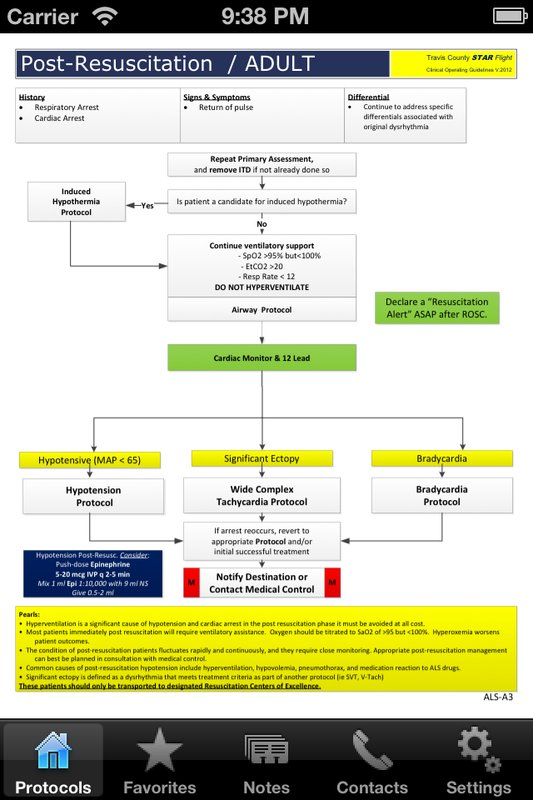 It has become an invaluable tool for rapid reference in the field, and it is one of the easiest and fastest ways we have to provide the most current protocol updates to our system. 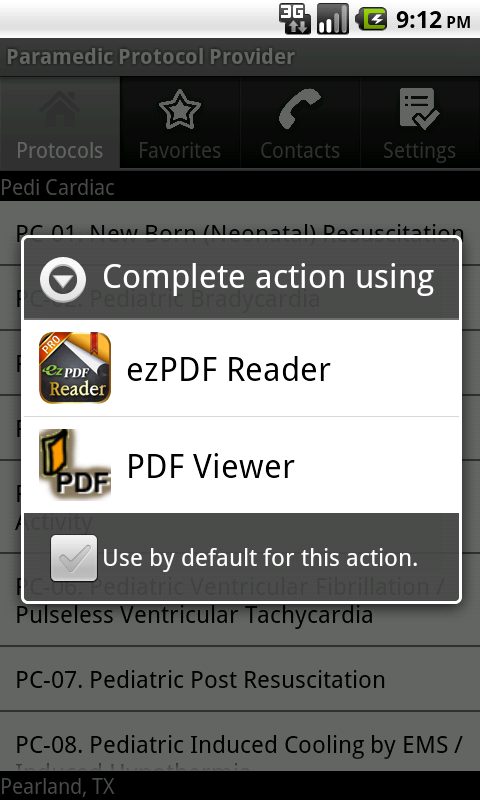 It is a resource I recommend to anyone who works in EMS." "Thank you for a wonderful product and a quick response. 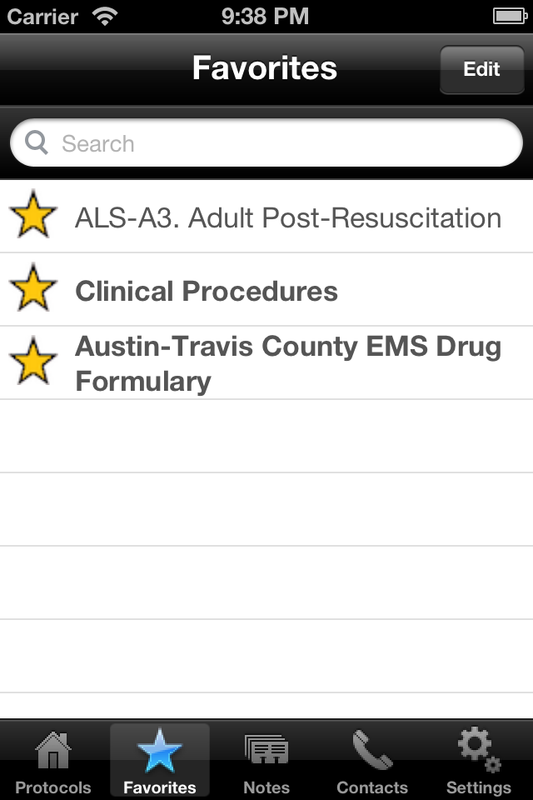 As an EMS Supervisor I will definitely be recommending this app to my employees." "Our aircraft all have an iPod Touch with your program as one of the resources." 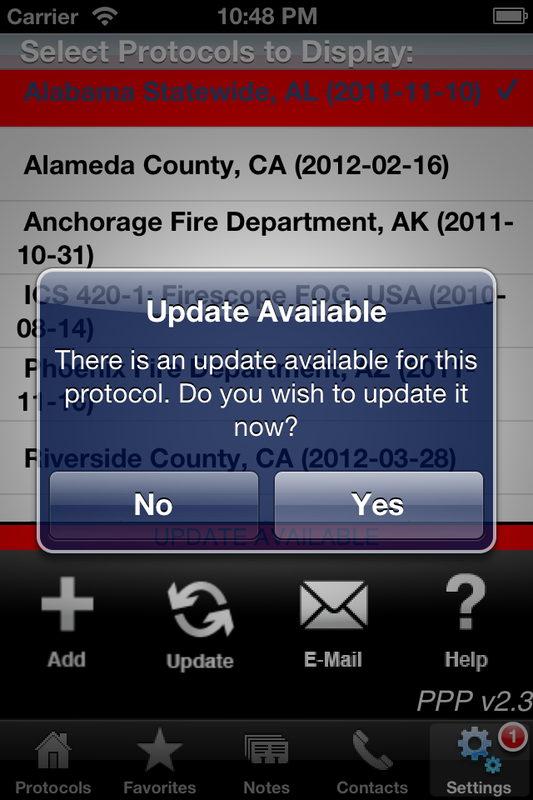 "I was looking for an application that would make it easier to access protocols. 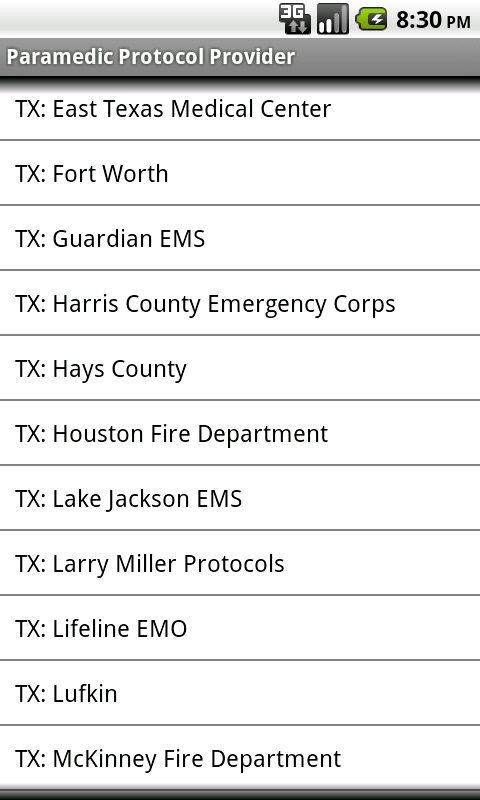 Got tired of flipping through the index and then the rest of the protocol book to get to the situation or drug I was looking for. This is the answer, it is very fast and easy. 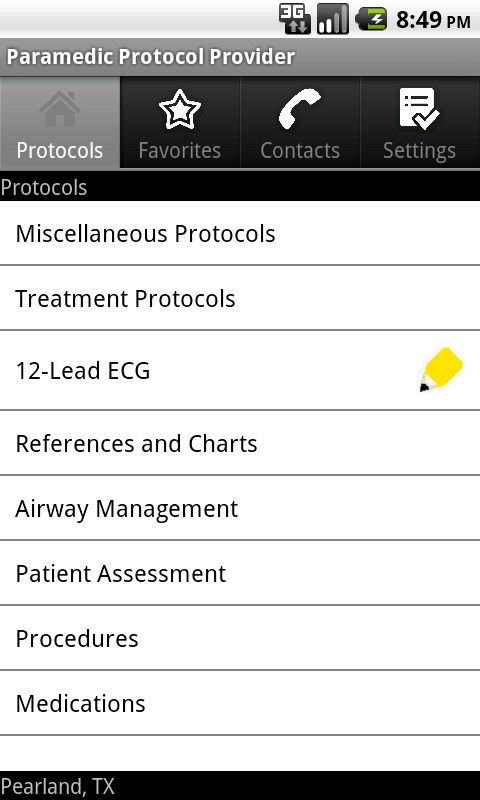 I will be using it all the time :)"
"Great work, all positive responses on iTunes are well deserved"
For screenshots of the iPad version, visit Paramedic Protocol Provider in the App Store. © 2009 - 2019 Acid Remap. Contact. Terms of Service.